A center for our students and community partners to play, tinker, design, and create. The Lesley STEAM Learning Lab is designed to research new opportunities for learning through engagement and inquiry-based exploration. Embracing the “maker” way of knowing, this is a place for our students and community partners to play, tinker, design, and create. The genesis of this idea came from our partnership with the Kennedy-Longfellow School (K-Lo), a Cambridge Public elementary school, with which we did a research project funded through the generosity of Al Merck. In our experience with the K-Lo educators, children, and families, we learned that a makerspace is a remarkably fertile learning ecology, one that naturally ignites creativity, collaboration, and problem solving. We opened our Lesley makerspace in early 2015. Whether engaging in simple programming with KIBOs or Scratch, to complex kinetic art sculptures or 3D printing, we observed that students excelled as “makers." Building something from nothing, or redesigning something to make it your own, is at the heart of the maker movement, but in many universities, this movement is oriented toward entrepreneurial outcomes. Here, we see this divergent learning environment as a unique vehicle to engage our students in activities that lead to greater learning, particularly related to self-awareness and identity affirmation, perseverance, problem solving, collaboration, communication, and other skills that are needed to be fully engaged citizens in the 21st century. This environment is also relevant for educators, as the activities and resources fully support science, technology, engineering, arts, and mathematics (STEAM) content and practice standards. Read more. University among six nonprofits benefiting from neuroscience pioneer’s $10M grant for support of science teaching. 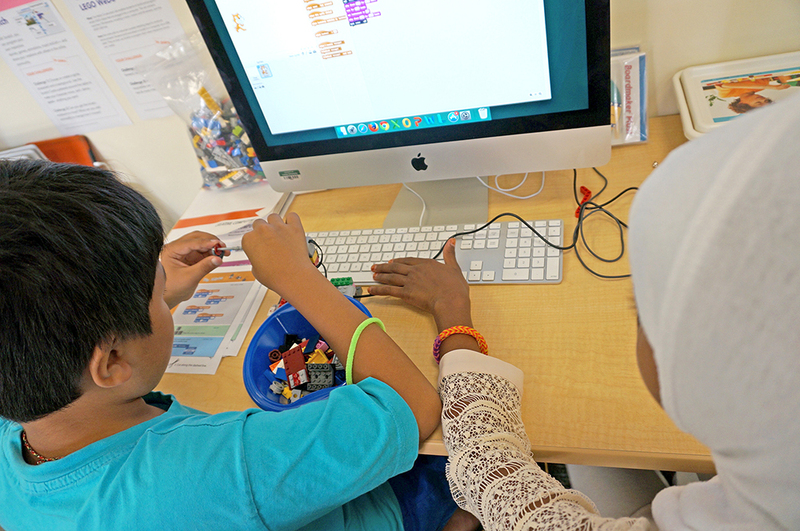 Using physical computing will support all learners, says STEAM Learning Lab program director Rashmi Pimprikar. Sue Cusack, director of Lesley's STEAM Learning Lab, emphasizes the need for equity after a report finds gender bias in many makerspaces. Embrace the maker way of knowing—check out the STEAM Learning Lab's activities, updates, and resources.